Scientists who were looking for healthy Tasmanian devils were amazed to find a new group living in Australia, a huge find that is incredibly good news for the endangered species. Scientists on a conservation expedition in southwest Tasmanian stumbled across the group after the spen teight days exploring the wilderness looking for devils. 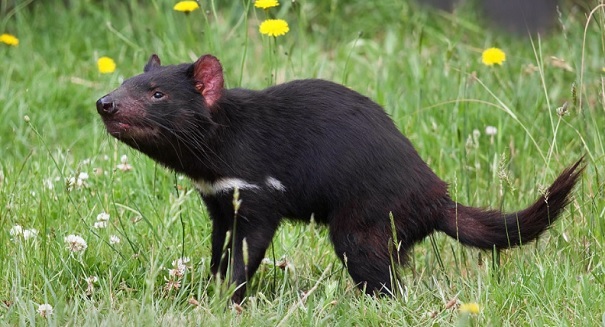 Scientists say that more than 80 percent of devils on the island of Tasmanian have been killed by the disease, and the species is struggling to hang on. A facial cancer is being spread from devil to devil when they fight or mate, and researchers have struggled to stop it. So they decided to go on a quest to find devils that were not suffering from the disease. They found a new population in the southwest coast that is small but healthy, and were able to trap 14 individual devils that were in good condition. Researchers say this is a significant find that will give the species a fighting chance to survive and thrive.